Dr Eleanor McIntyre from the Galway University Hospital in Ireland said that the workplace — where most adults spend around 60% of their waking hours — “represents a significant domain where short bouts of physical activity can be accrued and counted towards the recommended guidelines” for CVD prevention. However, results from this small study, which assessed the activity levels of all employees in an inevitably busy hospital, suggest that sedentary behaviour is still prevalent, with levels of physical activity insufficient to reduce CVD risk. However, when data from pedometers was compared with these IPAQ results, it was found that only 6% of the study subjects reached the recommended levels of 10,000 steps per day during working hours, while 30% were described with concern as “sedentary” (achieving less than 5000 steps per day). Overall, employees took a median number of 6205 steps per day, which varied considerably between occupation groups, with interns and nurses classified as the most active groups in terms of steps per day. 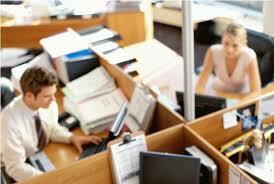 As a group, secretaries walked the fewest steps per day (4103) and sat for most minutes a week (1800). Dr McIntyre added that further analysis of IPAQ and pedometer data revealed that only half the employees reached levels of activity consistent with national guidelines, which, as set out by Ireland’s Campaign for Fighting Heart Disease & Stroke and in line with most other countries, aim for a minimum of 150 minutes of moderate intensity aerobic activity per week. Although national physical activity guidelines were met by 47% of the secretaries, as a group they walked the least number of steps per day and sat for most minutes per week. “This is an important and often overlooked ambiguity between sedentary behaviour and physical activity,” said Dr McIntyre. Even though around two-thirds of the employees were aware of the national prevention guidelines for physical activity, the investigators concluded that health promotion policies were not sufficiently applied within the workplace. “Promoting the concept that short bouts of physical activity can be accrued during working hours rather than considered solely a leisure time activity seems a realistic approach to reducing CVD risk,” said Dr McIntyre. While guidelines — including those in Ireland — recommend a 30 minute brisk walk five days per week, tips for greater activity at work include using the stairs instead of the elevator, getting off the bus one or two stops earlier, parking the car at the far end of the car park — and that any activity which leaves you warm and slightly out of breath is good. “Promoting regular breaks from sedentary behaviour and sitting times also seems a realistic approach to reducing CVD risk in those employed in sedentary jobs,” said Dr McIntyre.